But you can’t just apply to a craft show with your “accessories” or “bath & body products”. For your application to stand out to organizers and your booth to stand out to shoppers and make money, there has to be more to your products than just being “accessories” or “bath & body products”. You must find a niche within a category. 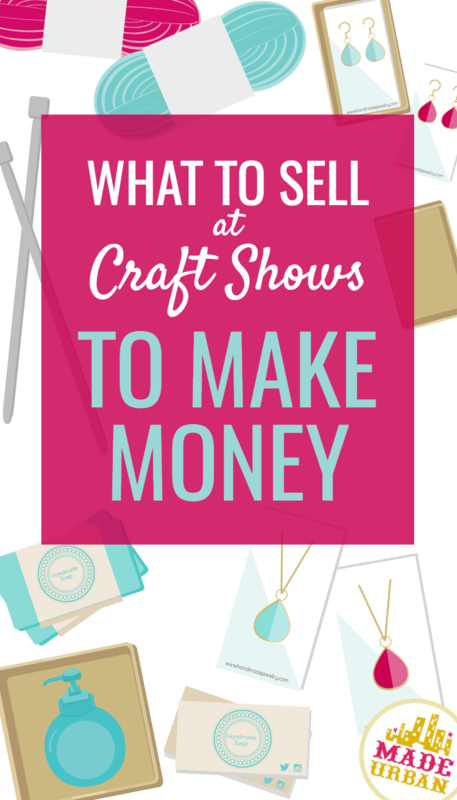 Here’s an easy 6 step process to find a niche, followed by a looooong list of ideas on what to sell at craft shows. In the majority of cases, you should not sell products under more than one category. Confusion for a small brand – you need a clear vision; who are you, what do you sell and what are you the best at making? Inconsistent work – when selling handmade, your work must be topnotch and high quality; creating a wide variety of products makes it hard to keep up the quality of each. Lack of time – you must be able to streamline your creation process. Creating cannot be what you spend the majority of your time on if you want to run a successful business. A big chunk of your time should go towards branding, marketing, setting up and maintaining sales channels, etc. The exception to the rule may apply when a craft (e.g. painting, carving, stamping, etc.) is applied to a product not made by the maker. In this case, selling under more than one category may be appropriate. For example, if a graphic designer creates images and has those images printed on mugs, t-shirts, bags, etc. they’re creating the art, not sculpting the mug or sewing the t-shirt or bags. It would be much easier for them to successfully sell under the categories: Accessories, Clothing & Home Décor. However, there should still be an ideal customer kept in mind. Is the same customer going to be interested in a mug and a tote bag? Get specific with what you sell. Anytime we shop, we shop for something specific. We don’t shop for a “home”; we look for a certain type of home (e.g. condo, duplex, detached, etc.) and get more specific to narrow our search. Say you’re looking for a detached home; you may specifically look for a 2 story, split level or bungalow. The same applies when we shop for something like accessories. We don’t go on the hunt for “accessories”; we might look for jewelry. But again, we don’t simply say “I need new jewelry”. We typically need a new pair of earrings or a necklace to go with a specific outfit or to stay up on trends. Get specific with your item and choose a subcategory to focus on. Subcategories simply define the specific purpose of your product and give a very clear idea of what your product is. To avoid having a craft show table that looks too cluttered or like a hodge-podge of items try to stick to 1 category and no more than 5 subcategories. I won’t get deep into defining your ideal customer here but do know, you should be able to describe one person who would be perfect for your products. Not a group of people or the age range of someone, but rather the details of one specific person. We’ll start with a generalization but be sure to continue on and describe the demographics, psychographics, physical attributes and personal preferences of a person who is the perfect fit for your products. You should be choosing 1 as your focus. Creating products for children, men and women will create chaos for you and your shoppers. Again, I would stick to one subcategory. Serving men who are in their 30’s gives you plenty of customers. You’ll run out of time to create products before you’ll run out of people to sell to. Although I won’t go into how here, it’s important to define the details of your customer that influence what you create, where you market and how you sell. “Canadian Teacher Magazine”, “Teacher Magazine” and “Scholastic Teacher” may be great platforms to advertise your product or send press releases to in hopes of getting a feature. Purposefully defining your ideal customer and effectively using that information is covered in my ebook HOW TO SELL HANDMADE BEYOND FRIENDS & FAMILY. Why does your customer buy from you? What’s the occasion they’re going to wear your accessory or clothing for? Where do they plan to display or use your home décor product? Perhaps your customer has a problem they need solved. For example, a consumer may have dry, sensitive skin and need a moisturizer that won’t cause irritation. They may buy from a vendor because that vendor has the solution to their specific problem. Or they may have a passion that drives purchasing. For example, a consumer may be passionate about yoga and look for yoga related products. Instead of selling a “headband”, a vendor may sell a “yoga headband” to appeal to their ideal customer. A yoga fanatic is going to buy a “yoga headband” over a regular headband for the same reason they shop at Lululemon instead of a regular sports store. Defining WHY is another step covered in HOW TO SELL HANDMADE BEYOND FRIENDS & FAMILY and touched on in the FREE 5-day challenge BEAT LAST YEAR’S SALES. What type of materials is your ideal customer interested in? Which method of production do they prefer? What’s their personal style? The variety of product features you offer should be kept to a minimum. Has too much variety and again, creates chaos in their business. There’s no clear look or expertise and time is lost learning a wide variety of skills, techniques, switching tools, materials, etc. A jewelry maker offering wood jewelry has a clear direction and expertise. Focusing on 1 – 3 product features should be plenty. Which colors does your ideal customer love? What type of scents do they prefer? Do they love bold prints? Do you offer different sizes? A customer who likes masculine scents of soap isn’t likely to also love floral scents. You can’t offer your product in every color of the rainbow, every type of scent, every size, etc. Keep your options limited. Let’s take what we covered above and apply it to different categories and subcategories. You can take one or more ideas (but remember: don’t go crazy with variety; keep your product line focused) from each layer and combine them to create a unique product that stands out at craft shows. As shown in the examples, you can easily create products by choosing just one option from each layer. You can pick one or more word(s) from each level of bullet points to create a niche. The deeper you go into the levels, the stronger the niche. Children’s lunch bags for elementary school made out of nylon and offered in neon colors. Men’s backpacks for plane travel made out of leathers and offered in blacks & browns. Women’s messenger bags for wedding photographers (pockets for camera equipment) offered in durable canvas in neutral colors. Children’s floral crowns offered in pastel colors for weddings. Men’s fabric headbands for working out offered in neutrals. Women’s gold, silver and rose gold hair combs for a professional look when wearing hair back. Rhinestone hair clips for dogs to wear to special occasions such as weddings. Children’s silicone teething necklaces offered in pastels. Men’s wedding bands offered in gold and silver. Women’s beaded body jewelry offered in surgical steel and colorful beads. You can pick one word from each level of bullet points to create a niche. The deeper you go into the levels, the stronger the niche. You must be sure you’re following all laws when selling bath & body products. 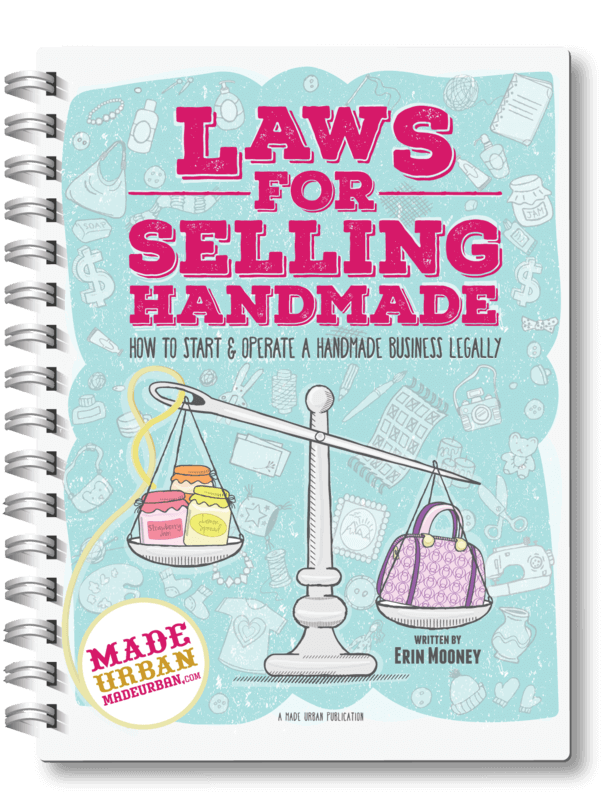 Read more about the laws you must follow when selling handmade soap, lotions, etc. here. Children’s cotton workout clothes offered in colorful prints. Women’s lace shorts for casual summer attire. Cotton doggie sun dresses for when they have a wedding to attend. Children’s pop art style clocks for the bedroom offered in bright colors. Men’s modern paintings for the man cave offered in moody neutrals. Modern candleholders for women’s boudoirs offered in deep, rich colors. Deodorizing paraffin pillar candles for men’s bathrooms offered in spicy, masculine scents. Large unscented soy candles for women with scent allergies, offered in soft pastels for candles you see but don’t smell. Children’s colorful cereal bowls offered in the shapes of animal faces. Men’s modern black & white printed coffee mugs sold in sets of 7 for each day of the week. Vintage wall hanging display plates for women offered in a variety of colors and patterns to match the décor of a room. Cat food bowls and water bowls offered in the shape and color of different fish. Traditional rocking chairs for children’s nurseries offered in natural wood finishes. Rustic coffee tables for the bachelor pad offered in dark stained wood. Vintage style cream colored desks for feminine office spaces. Bohemian dog beds offered in stained wood and pillows made out of colorful tapestry. Pastel colored quilts in modern patterns for the nursery. Traditional pillows and throws offered in dark plaids and stripes for the man cave. Feminine pastel and floral printed sheet and pillow sets for a woman’s bedroom. Craft shows are a unique shopping experience. Most shoppers are coming to browse. Without a particular product in mind, you can assume shoppers are going to make impulse buys. And impulse buys typically happen when prices aren’t too high. Each craft show will attract a different shopper but generally, shoppers don’t have to think too long and hard about spending around $25 or under. If you can fill the majority of your craft show display with mid-priced items, it may encourage more sales. That doesn’t mean you should leave your higher priced products at home or hide them under the table. Shoppers should still be able to buy those items and be aware of what else you have to offer. Your prices must match the value of your work. If you simply lower your prices to boost sales, it could have the opposite effect and turn shoppers off from buying. If you come across a product priced much lower than you thought it should be, you’d likely wonder what’s wrong with it. Just because someone can spend $5 on an item, doesn’t mean they will. Unwarranted low prices can cheapen your work in the shopper’s mind and encourage them not to buy. The more saturated your category, the more important it is to find a niche. What are you going to do to stand out among the ten other vendors selling knitted goods at an event? Why should shoppers buy from you? If three vendors are selling a red knit hat, who would you buy from if they all appear to be similar quality? You’d likely purchase the one that’s cheapest; why pay more for the same product? You do not want your customers to choose you (or not choose you) based on price. Competing on price is a losing game when you’re selling handmade. Offering something the other vendors aren’t is the better way to win those sales. You must have a USP (unique selling position) and you must communicate that USP to shoppers. Imagine you need to hire a plumber. Between two plumbers, one states they always show up on time and guarantee their work. Who will you choose? They both show up on time and guarantee their work but the one who communicates their USP to the consumer is the one who wins the customers. Finding your USP and communicating it is covered in HOW TO SELL BEYOND FRIENDS & FAMILY and touched on in the FREE 5-day challenge BEAT LAST YEAR’S SALES. 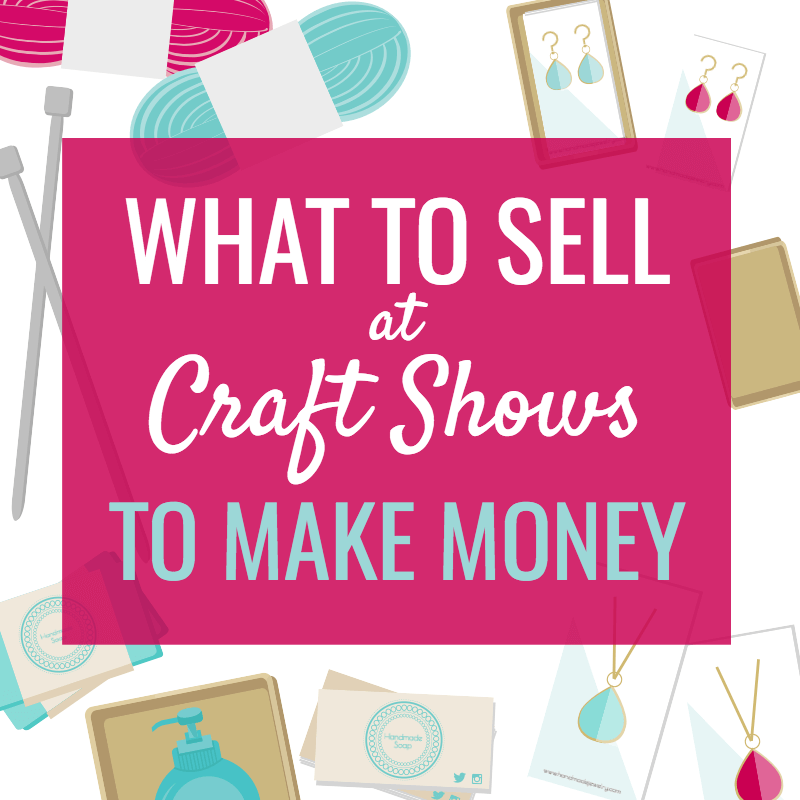 You don’t need to follow trends but it may help boost your sales at a craft show. Check out HOT ITEMS TO SELL AT CRAFT SHOWS IN 2018 for a list of products that are trending this year. Don’t revolve your products around trends (e.g. if you sell candles and discover jelly soaps are trending, don’t add jelly soaps to your table) but do be aware of trends within your category. Which colors are popular this year? Are there new materials that are gaining popularity? Are there any styles that fit with your brand and are in high demand? Use Google Trends to discover trends related to your product (as I did to create this list of hot sellers). You may also want to hop off a trend if there are several other vendors selling a similar product. For example, if you started making knitted unicorn hats and now every vendor at a craft show has a unicorn hat on their table, you’d likely want to jump off that trend and be the first to offer a new trend. Once you know what to sell, you need to figure out how you’re going to display it. Join the thousands of vendors who have taken my other FREE email challenge 5 DAYS TO A STANDOUT DISPLAY, which teaches important lessons from my ebook MAKE MORE MONEY AT CRAFT FAIRS. Did this article spark new ideas for you? What are you making for your next craft show? Share in the comment section! Thank you for all your great tips and ideas! It’s nice getting infomatiop. *Especiallyto learn aaut or mistakes! Thank you for all your great tips and ideas! It’s so good to get new information! It’s especially helpful when we can learn about our mistakes, too! I’ve been loving all the info from you. I feel like I’ve finally found a site that is giving me the information I’ve been searching for. As usual, great info Erin ~ direct and to the point! I always learn something from you, even as long as I’ve been following. You are one of the most informed bloggers I’ve found … Thanks for sharing your expertise! p.s. I think I’ve FINALLY learned I need to stop trying to make and sell “everything I see,” and stick to what my customers love and buy!!! Thank you!! !